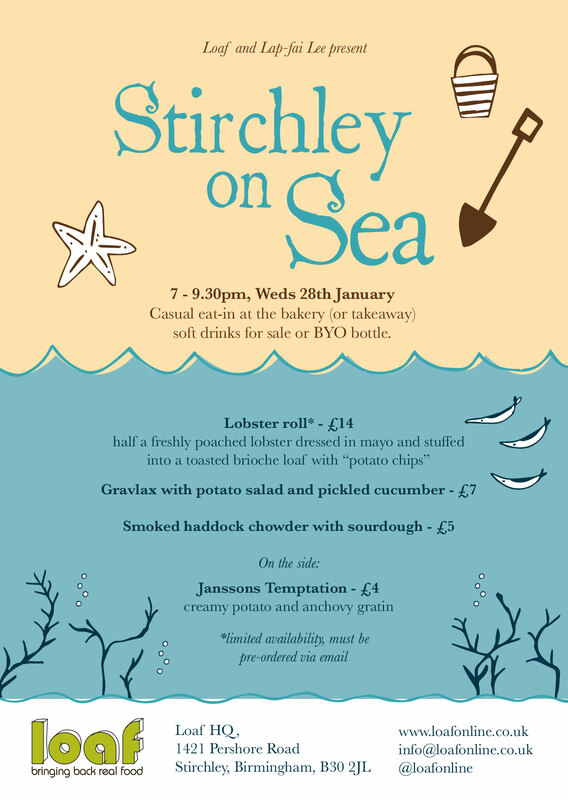 After the success of our first Stirchley-on-Sea event in November, we’re at it again at the end of January, taking a distinctly North Atlantic theme this time with some great Scandiwegian dishes on offer. As before it’ll be casual eat-in at the bakery, or takeaway if you prefer (but why not come and enjoy the atmosphere?!). You can bring a bottle too, we recommend Stirchley Wines and Spirits just down the road. Check out the menu below, please feel free to share widely. Thanks once again to Kerry Leslie for a top notch flyer. Next post: Eat well, keep warm.